For anyone who grew up playing a team sport, the power of a good team is clear. Unfortunately, so is the power of a bad team. So when it comes to your sales jobs, how important are sales teams and can a sales team make or break your career? Before determining the importance of a sales team, it is important first to define what makes a good team. A good sales team is one that finds the majority of the team members having positive attitudes, willing to support and to challenge others on the team. The team, as a whole, is driven to be successful. A really good team only feels success if all the members of the team are successful. This doesn't mean a team with a weak or struggling member isn't a fantastic team, just that the team itself won't ever feel they are at their best until all members are succeeding at high levels. Good sales teams are also well-trained and have a positive attitude when it comes to attending and participating in training. When it comes to the individual team members, good sales teams are filled with professionals who simply make other members better. Think of any great professional athlete that makes the others on his team perform better and, as a result, the entire team is more successful. The same is true for sales teams. No one on a team wants to be the weakest link and be the cause of the team missing their goals. Inspired by this, a good team is filled with professionals who strive to improve. This focus on not being the weak link puts positive pressure on other team members and drives others to improve. Think of the elements of a good sales team, remove them all and you will be left with a bad sales team. Bad sales teams have a majority of team members who have negative attitudes towards the company they work for, the products they sell, the customers to whom they are charged with the privilege of serving. They spend more time complaining about training than focusing on the benefits that the training provides. When it comes to working with others on the team, cooperation and positive competition are replaced with gossip, reluctance to help each other and, in the worse case situations, intentional actions that are aimed at hurting or even destroying the sales opportunities of others. 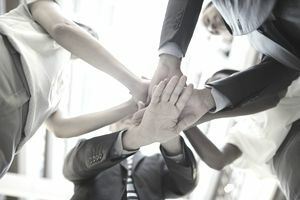 In the mind of a team member on a bad sales team, the success of others brings the unwanted and very uncomfortable exposure of management onto those with less than stellar results. Protection is more important than mutual cooperation and selfless support. If you find yourself on a good sales team, you will be supported and driven towards getting better at your position and will, most likely, have a greatly increased chance of success. However, just being on a good sales team does not guarantee your success and cannot replace good, old-fashioned work. You still need to constantly work at improving your sales skills, attend as much training as you can manage in your busy schedule and battle against the daily grind to keep your motivation levels high. If you find yourself on a bad sales team, your greatest challenge will be not allowing the bad team to hurt your motivation for success. Ultimately, you are responsible for you and while others on your team may not be supportive or helpful, you are still in charge of your future. If you are deciding whether or not to accept a job offer and have the ability to spend a day or two with the other sales professionals on your potential new team, do so. Spend this time observing how others interact with one another and ask a lot of questions about the work environment. You probably won't want to be so blunt as to ask if the team is negative, but crafting questions about the general team dynamics will tell you a lot about the team. Being part of a good sales team should be your first choice when deciding whether or not to join the team. If you find yourself on a bad team or even on a good team turned bad and honestly realize that your performance is negatively affected, get out and find a team that will challenge you to be the best you can be.